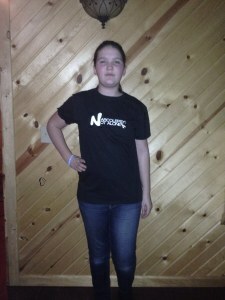 This past year has been very tough for Daishia, age 11, who was recently diagnosed with narcolepsy with cataplexy. In addition to narcolepsy, she is also dealing with a seizure disorder, migraines and obstructive and central sleep apnea. “I wish I could take all her pain and struggles away and make things easier for her,” describes her mother, Jess. Daishia felt very alone in her struggles, until her mom introduced her to the NARCOLEPSY: NOT ALONE campaign and they joined a local support group in West Virginia that meets every three months. Daishia now knows that she is NOT battling this alone. 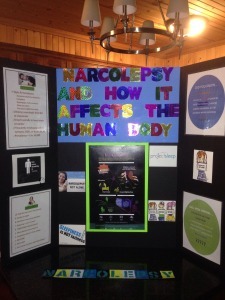 Daishia wanted to learn more about narcolepsy so she decided to do her 5th grade social studies project on the disorder. 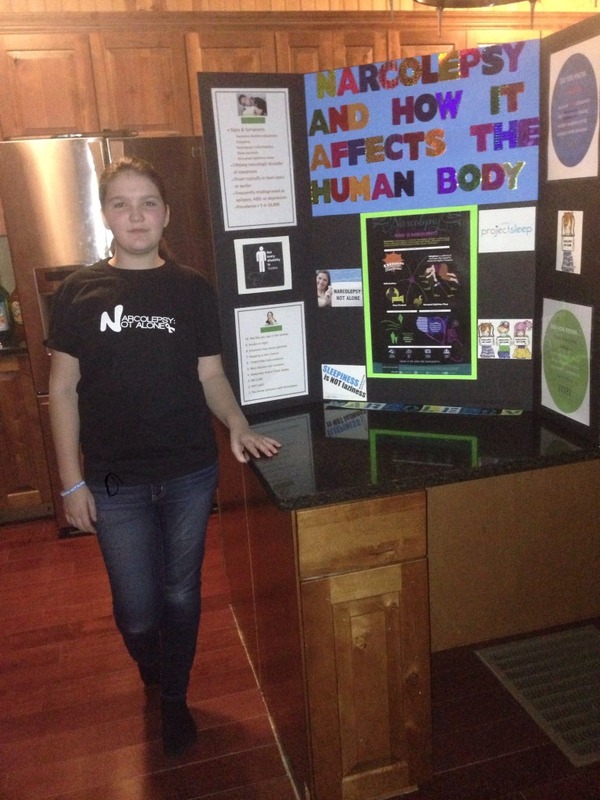 Her amazing presentation won first prize – psychology in her class, and she is moving on to the county’s social studies fair – raising more narcolepsy awareness in her community! 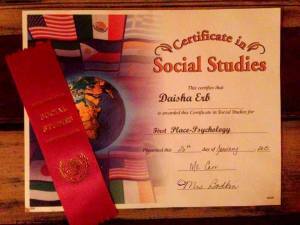 In addition to her classwork, Daishia is a hard-working athlete. She wasn’t able to play basketball this year for health reasons, but she is currently undergoing physical therapy for muscle activation. Daishia is really excited to have a physical therapist working with one on one, because she is preparing for her favorite sport, softball! She is also going to start swimming on Saturdays. Her goals are to be able to run as fast as she use to run a couple years ago, have more energy, and be able to play softball this spring. She also enjoys reading, making bracelets, riding horses, playing board games and anything with arts and crafts. Daishia, you are proof that young superheroes live amongst us. Everyone may not see your incredible determination and spirit, but we do. You’re an inspiration and role model and we are cheering for you!